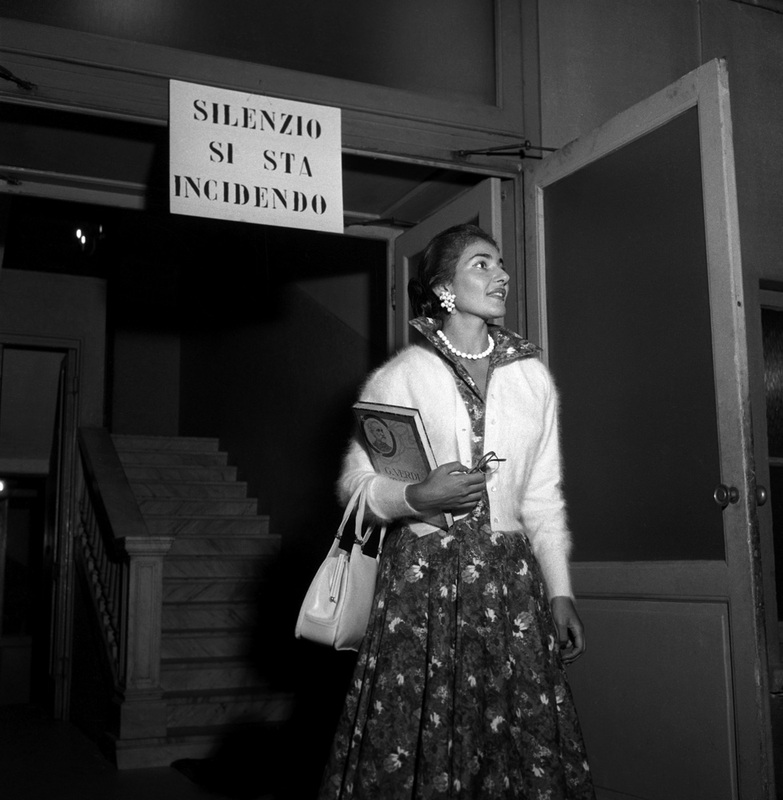 “Silence – Recording in Progress” reads the sign, as Maria Callas arrives at La Scala to record Il trovatore in 1956. 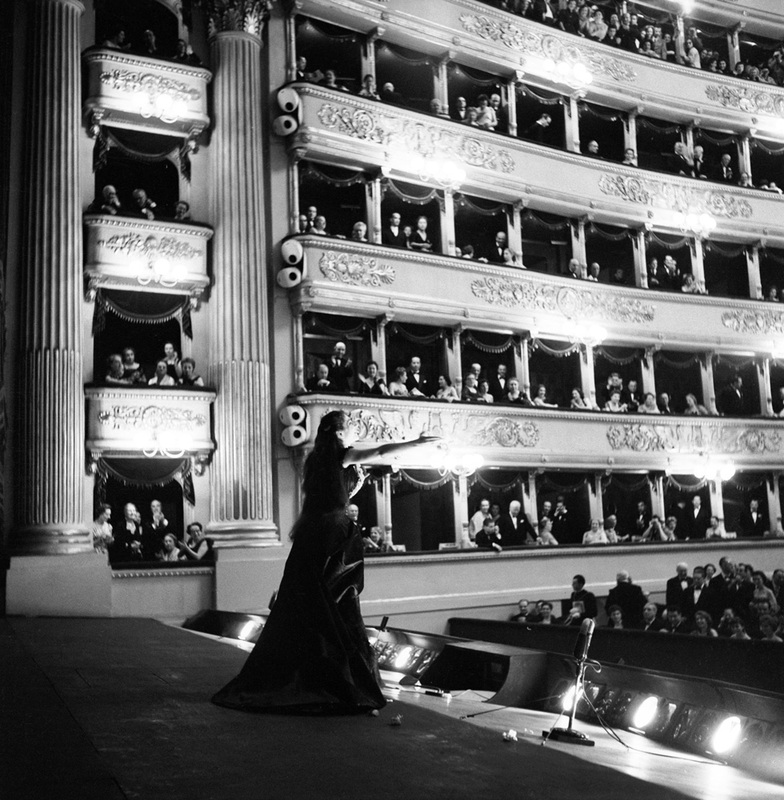 More than any other theatre, Callas is linked with the great opera house in Milan. She recorded many of the ‘studio’ recordings there when the theatre was closed for the summer break, and gave some of her most memorable performances on its famous stage at the height of her career. She had an apartment just off piazza Buonarroti in Milan which is dominated by Enrico Butti’s bronze statue of Giuseppe Verdi which stands outside the composer’s Casa di Riposo per Musicisti; she could see the statue from her window. 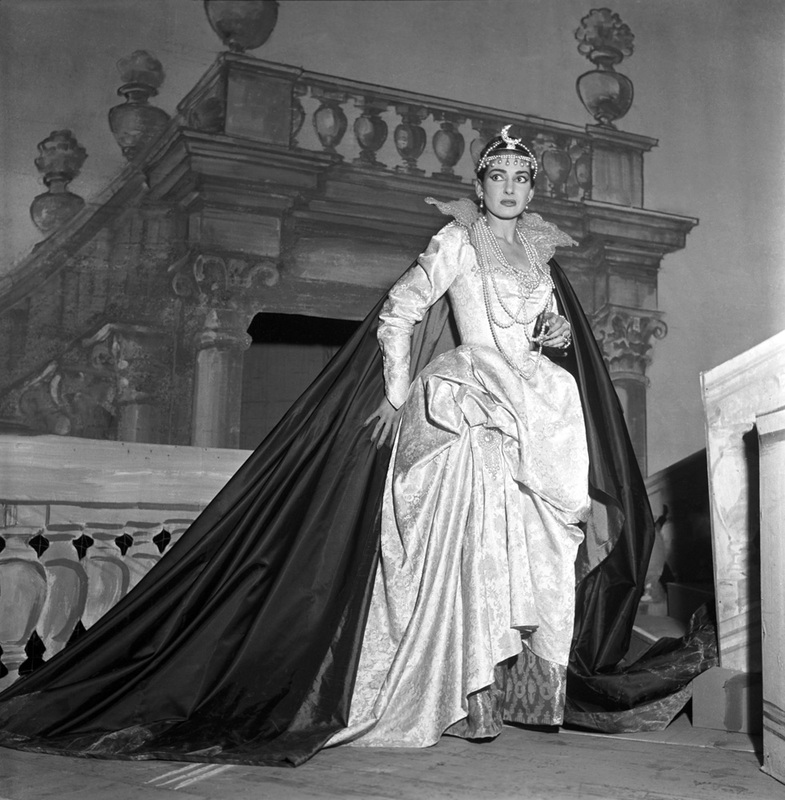 Managements come and go, but Maria Callas is never overlooked at La Scala. Her costumes are lovingly preserved by the theatre’s costume department and often displayed, and a painting of her by Ulisse Sartini hangs in the museum, just off the Toscanini Foyer. Forty years after her death in Paris, La Scala are dedicating an evening to her (Thursday 14 September) when Warner Classics’ newly remastered live recordings of her singing in the theatre will once again allow the auditorium to resonate with the sound of her voice. 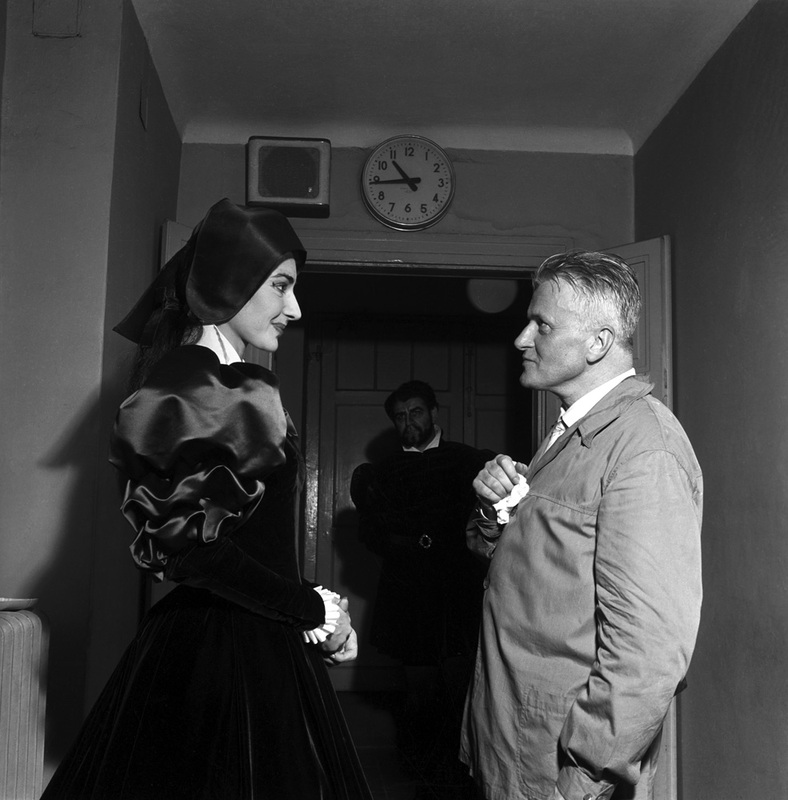 There will be reminiscences by colleagues and friends: the great baritone Rolando Panerai; Eliana, daughter of Victor de Sabata; Filippo Crivelli who at the time of Il turco in Italia was Franco Zeffirelli’s assistant; Luisa Mandelli who was Callas’s Annina in Luchino Visconti’s production of La traviata; and her longtime friend, Giovanna Lomazzi. 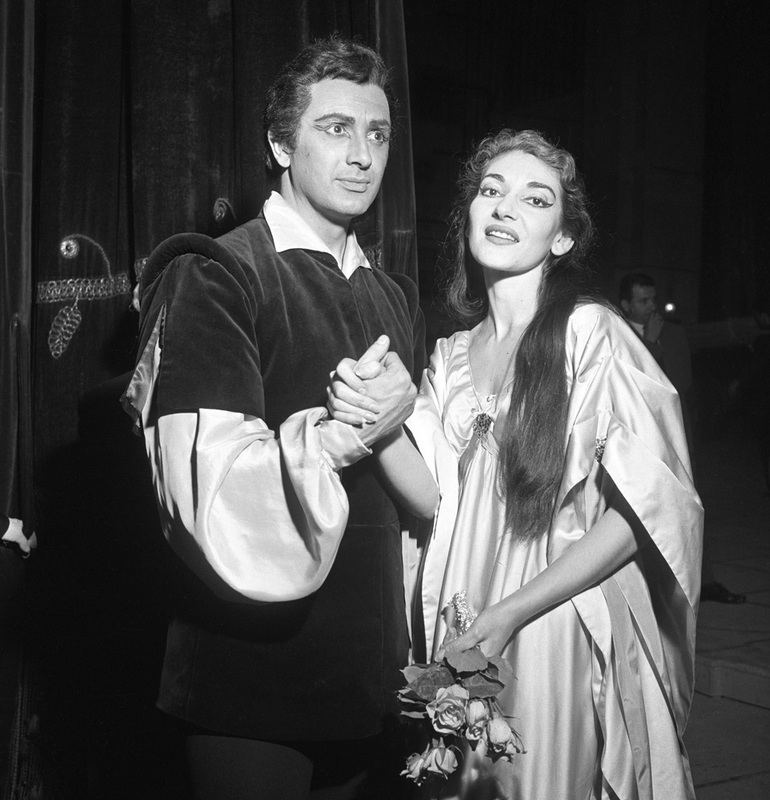 The evening will also feature various video clips including footage from a new documentary by Rai TV and an interview with Raina Kabaivanska who recounts the time when she sang Elena in I vespri siciliani in Turin in 1973 – the only production ever directed by Callas. 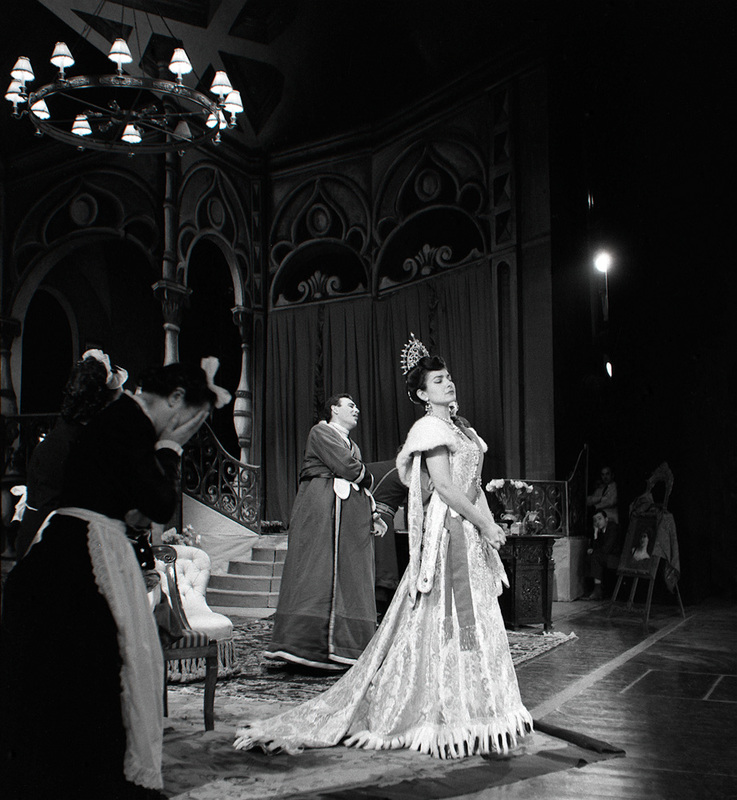 A new exhibition called Maria Callas on stage – the La Scala Years, opens on 15 September at La Scala’s Museum, curated by the theatre designer, Margherita Palli. La Scala has also released the photos featured in this post – some well known, and others unseen – which Gramilano has restored by equilibrating the shadows and highlights as far as possible, and reducing scratch and stain damage on the negatives. 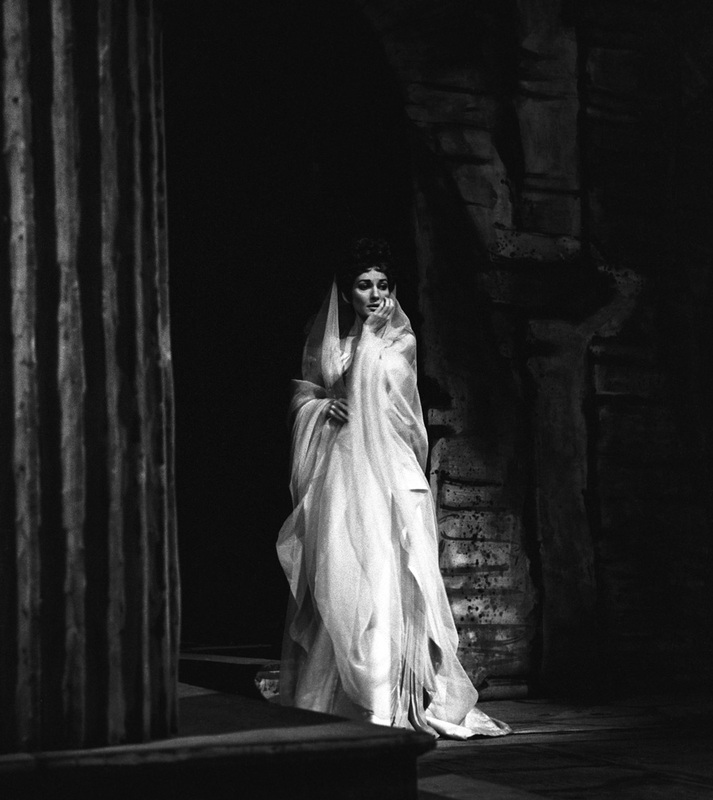 Maria Callas gave me the opera bug. To pursue that area of placing my instrument, which I had already found out from me was not ordinary. I took a plane to Chicago, during the 50’s when she was there for the first time doing Madama Butterfly. And the excitement! Histrionically, she remade Opera, in the sense that she merged the sound with the action. Now, I’m not that kind of electric personality. but she taught me to fit my own movements, my own acceptance of claiming center-stage from her own doing that. It was one of the most exciting experiences I have ever known. I didn’t dare study her phrasing, but of all the singers I listen to, it’s Callas I love most. I always have. And I was lucky enough to be at the Met when she did the master classes at Juilliard. I saw them, and saw how she worked with people and what her knowledge was. There was no mystery to it. It was very tangible. The grounding was sort of like a ballerina’s footing in barre exercises. To get to the point where you get your feet to leap into the air, you have to begin very close to the floor. That’s what I think a lot of her musicianship represents to me: It’s her extraordinary devotion. Listening to Callas is like reading Shakespeare: you’re always going to be knocked senseless by some incredible insight into humanity. She is a huge bonfire! The thread, the “inner serpent” that she would get in certain music was so complete — for example, in the Lucia recording, the phrase “Alfin, son tua.” Lucia, at her absolute happiest moment, would have said to Edgardo, “I am finally yours.” For me, the woman Lucia came to life in that moment, and I understood why she was out of her mind, you know? You’ve got it all in that one phrase. A musician is a musician. A singer is no different from an instrumentalist except that we have words. You don’t excuse things in a singer you would not dream of excusing in a violinist or pianist. There is no excuse for not having a trill, for not doing the acciaccatura, for not having good scales. Look at your scores! There are technical things written there to be performed, and they must be performed whether you like it or not. How will you get out of a trill? How will you get out of scales when they are written there, staring you in the face? It is not enough to have a beautiful voice. What does that mean? When you interpret a role, you have to have a thousand colors to portray happiness, joy, sorrow, fear. How can you do this with only a beautiful voice? Even if you sing harshly sometimes, as I have frequently done, it is a necessity of expression. You have to do it, even if people will not understand. But in the long run they will, because you must persuade them of what you’re doing. 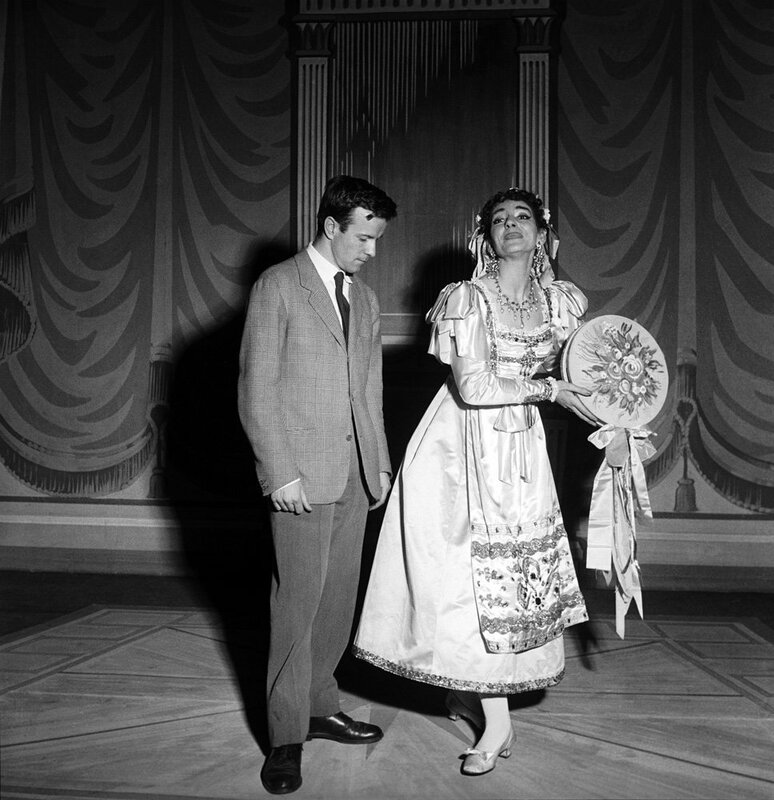 The Callas photos are fascinating, as are the comments from the other famous singers. Thank you.